Recently hailed as Belvedere’s Best Bar at GQ Magazine’s Food and Drinks Awards, Swift is the latest brainchild of the couple behind other popular haunts like Nightjar and Oriole. Located in Soho, its most interesting feature is that it has two faces. 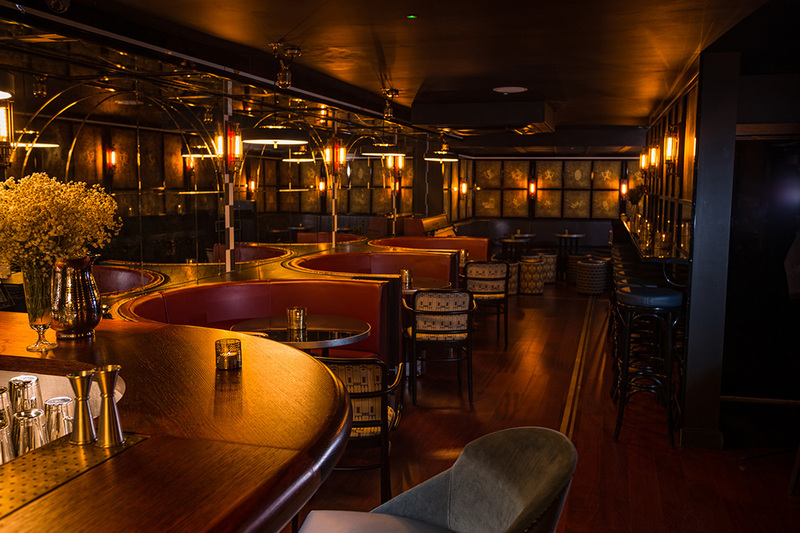 The ground floor is a dimly lit lounge with elegant leather booths where, on weekends, the drinks come accompanied by live blues and jazz music. Meanwhile, the upstairs area gives off a faint Italian vibe, especially with its menu full of cocktails and light bites. 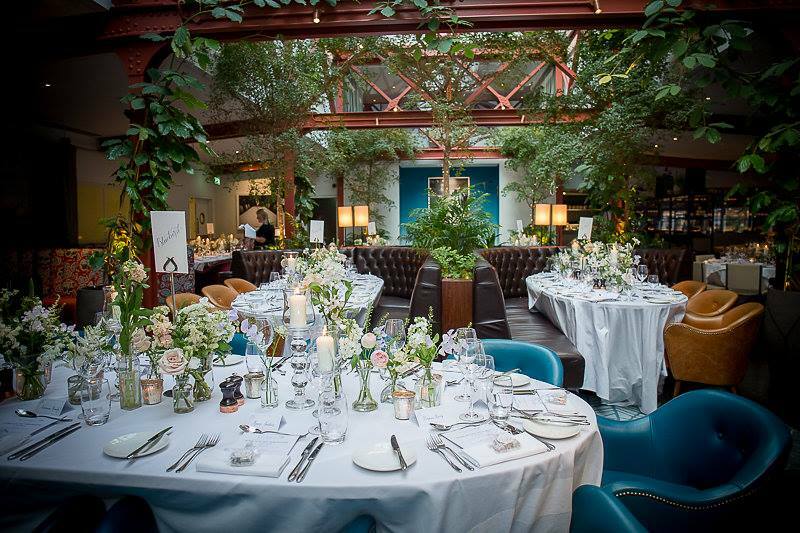 Bluebird at Chelsea is bringing a little winter glamour this year with its Narnia-esque magical white wonderland theme. The restaurant’s courtyard will be decorated to the nines, with three heated wooden chalets that can seat 8 to 10 people. In these little huts, you can enjoy fondue, apple pie, and hot chocolate. Of course, you can also hang out at the bar upstairs and enjoy their winter cocktail menu, which also consists of Narnia-themed concoctions. Watch out for drinks like The Tumnus Tipple, a spiced Ketel One and Tonic mix with a cinnamon stick, as well as The Aslan Roar, which is made up of Ketel One and Ancho Reyes chilli liquor, lime, and ginger ale. 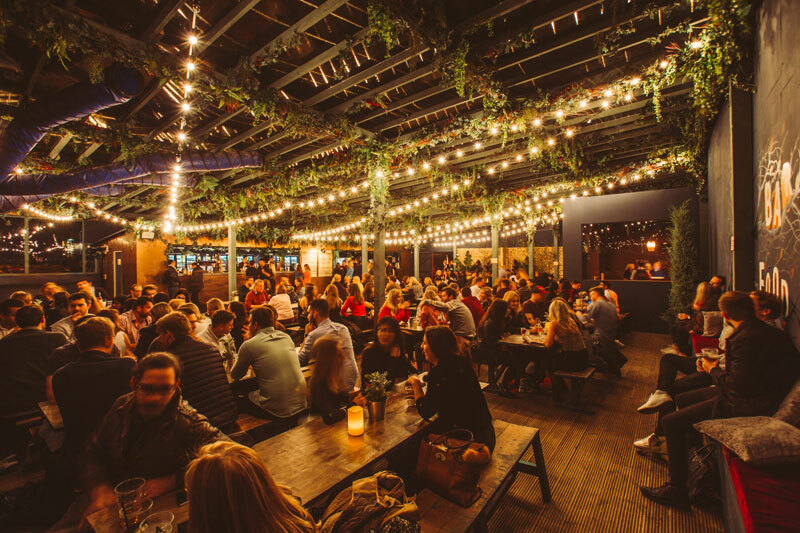 The Pergola Paddington is once again ready for the holiday season with its fully heated floors and cosy covered roof deck. It is home to five self-service independent eateries as well as two bars, which make it a great place to chill out with friends. Aside from the food and drinks, you can also get comfortable in with warm blankets. For a wonderful alfresco holiday dining experience, Pergola is your best bet. 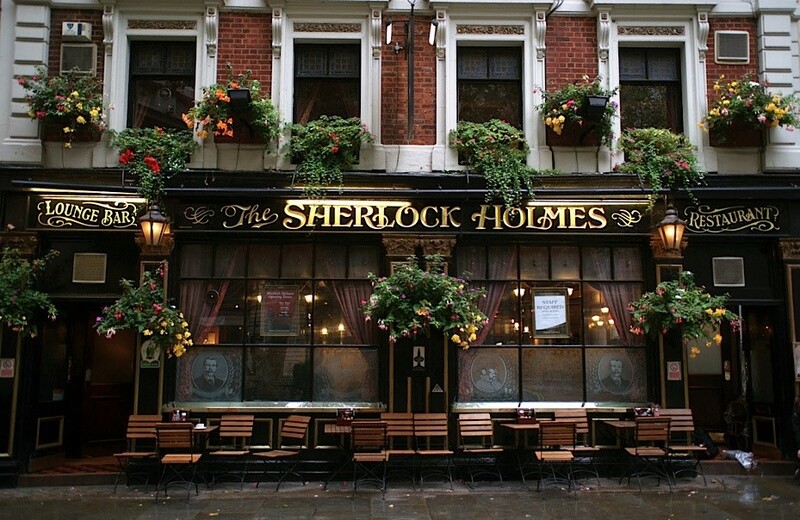 There’s something quintessentially British about Sherlock Holmes, and for fans of old English literature, there’s nothing quite like the Sherlock Holmes Pub. While it serves as a traditional English pub with pints and pub food galore, there is a special room that replicates Holmes and Watson’s study, complete with photographs and objects related to the novel. As we all know, Sherlock Holmes is a world renowned figure who has been featured time and time again in countless stories. First appearing in books, he came alive on screen through a variety of movies and TV series — with the BBC’s Sherlock becoming one of the UK’s most popular Christmas shows. The character’s enduring influence is also evident online, even a number of detective-themed titles on gaming platforms such as Slingo – Sherlock Holmes: The Hunt for Blackwood and Holmes and Stolen Stones use the character as a direct influence, while Steamtower builds upon the Victorian period the original books were set in. With that in mind, there’s no better time to visit The Sherlock Holmes Pub around Christmas time and geek out to one of the most famous fictional English characters of all time. 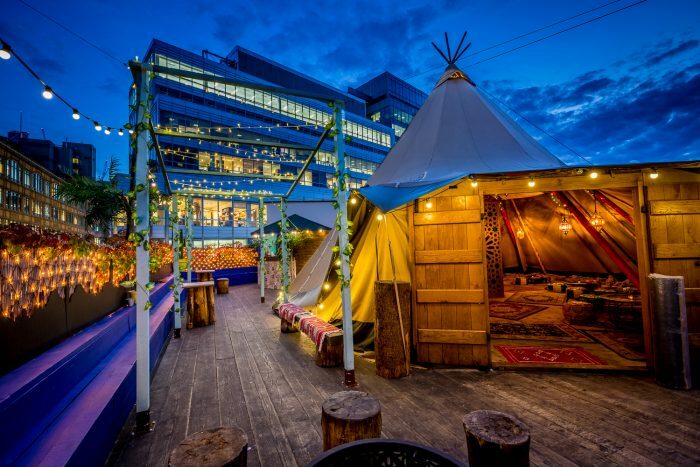 The Queen of Hoxton stands out among all of London’s rooftop bars because of its giant wigwam and the creative ideas it mounts every winter. This year, the wigwam will be dressed up as Lady Celeste’s, a theme that represents the glamour and indulgence of Paris in the 1900’s. The bar promises a lot of absinthe, as well as other popular winter drinks like spiked hot chocolate and hot buttered tarte tartin rum. So you’re bound to leave the Queen of Hoxton more than a little cheery. Aside from these hangouts, you can also visit St. James Square whose lounge, sauna, and bar make for great places to relax any time of the year.